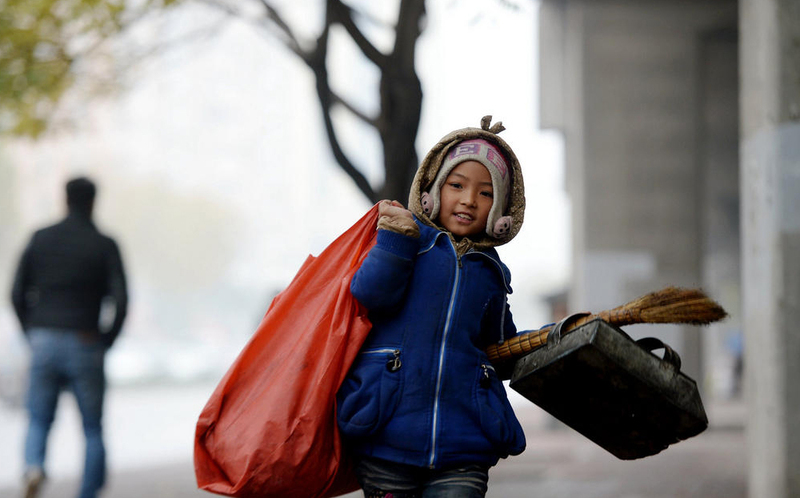 Liu Yiting, a 6-year-old girl, has been doing cleaning work in West Shunhe Street together with her grandmother and grandfather since this July. Four years ago, Liu's parents got divorced. She and her sister, Liu Yiling lived with their grandparents. Her sister has been rejected by the school because there is no labor insurance from her parents and her grandparents are not her legal guardian. It is learned that the children’s father was in Shenzhen all the time and have not come home for more than a year and their mother has lost in touch for more than four years.